Piloxing With Marina Fitness Studio has opened in Summerton Plaza on Route 9 in Manalapan. Piloxing is an exciting, new-inter-disciplinary program that mixes Pilates, boxing and dance. It is a total-body workout that can burn between 400 and 900 calories per hour! The studio also offers Yoga, Barre Toning and Boot Camp. For more information and to see a class schedule, visit their website here. The Marlboro Swim Club is a wonderful place to spend the warm summer days. 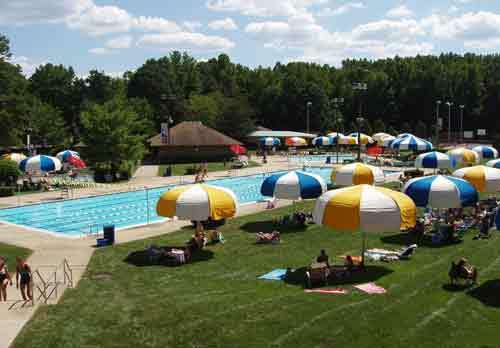 Green grass, 4 pools, activities, snack bar, large umbrellas, tennis, shuffleboard and tons to do for people of all ages! Swim Club Registration is open now! In addition, The Marlboro Swim Club offers a fantastic summer camp for ages 4 through 11. Camp activities for the younger children include: Swimming, Arts and Crafts, Sports, Music, Dance, Karate, Playground Activities, Special events each week. Camp activities for the older children include: Swimming, Non Contact Sports, Soccer, Volleyball, Baseball, Football, Basketball, Running Races, sports competitions, Arts and Crafts, Scrapbooking, Jewelry Making, Dance, Music, Science, Nail Art. The campers have a ball at the Swim Club camp! Who’s ready for summer?! Registration begins on Friday, February 7. Spots fill up quickly so you don’t want to miss out! Looking for great events happening in and near Marlboro, New Jersey this September? Marlboro is a great town with tons to offer residents and visitors in the way of entertainment. Great shopping, tons of parks, impressive recreational facilities, and a variety of events are sure to keep you and your family entertained this September in Marlboro. What: Join in the celebration of the 30th annual Marlboro Day with vendors, food, entertainment and rides; for information. What: Author Phone In and Book Discussion: Lunch with Buddha by Roland Merullo. Heartbreaking in places, hilarious in others, Lunch with Buddha takes its readers on a quintessentially American road trip across the Northwest. That outer journey mirrors a more interior journey–a quest for meaning in modern life. What: Booths open starting 5:30 pm, performances start at 6:30 pm. Suggested Donation for Admission: $10/per adult. 1 free raffle included . Parking is FREE! Snacks will be provided at the end of the event. “All the proceedings from event will go towards treatment of Rohan”. To learn more about Rohan and his journey visit www.rohansjourney.com and www.facebook.com/rohansjourney. Contact helpintown2012@gmail.com or 732-298-7198 for more information on how you can help! What: Join us for this festival to benefit Wounded Warriors! What: To lead a healthy, well balanced life and business, we all need of human connections. We need them to thrive personally and professionally and also to be the best we can be in this world. Founders of ETTM Lynette Barbieri and Vanessa Coppes strongly believe that connections are a catalyst for success. The Entrepreneurial Think Tank for Moms’ mission is to connect like minded women, network, build relationships, learn from and support each other in personal and business growth. knowing you’ve done good by supporting a wonderful non-profit organization! *Early bird ticket buyers will receive a special ETTM Swag Bag. A portion of the proceeds from this event will benefit Enchanted Makeovers. What: Registration begins at 9:00 AM and the walk begins at 10:00 AM. The Alzheimer’s Association Walk to End Alzheimer’s® is the nation’s largest event to raise awareness and funds for Alzheimer’s care, support and research. Held annually in more than 600 communities nationwide, this inspiring event calls on participants of all ages and abilities to reclaim the future for millions. Together, we can end Alzheimer’s disease, the nation’s sixth-leading cause of death. For more information on upcoming events in Marlboro, New Jersey, check out the city’s website here and the events page here.